After 10 Years, This Sensation Joins Hands With Vijay For Thalapathy 63! Thalapathy Vijay's next big venture with director Atlee kick-started on Sunday (January 20) and the team is currently shooting the first schedule in Chennai. Thalapathy 63 has a decorative cast which includes Nayanthara as the leading lady along with Vivek, Anand Raj, Yogi Babu, Kathir, Daniel Balaji and many more. The venture has music by AR Rahman and produced under the banner of AGS Entertainment. An interesting name among the cast is Anand Raj who is a prolific actor and has played the menacing villain against many actors in the industry like Rajnikanth (Baasha), Mammootty (Makkal Aatchi), Balakrishna (Muddula Mavayya), Chiranjeevi (Gang Leader) and many more. Anand Raj showed his versatility by also taking up comedic roles in several movies which were also liked by the audience. And now with Thalapathy 63, Anand Raj is combining with Vijay for the third time after Pokkiri (2007) and Viilu (2009). 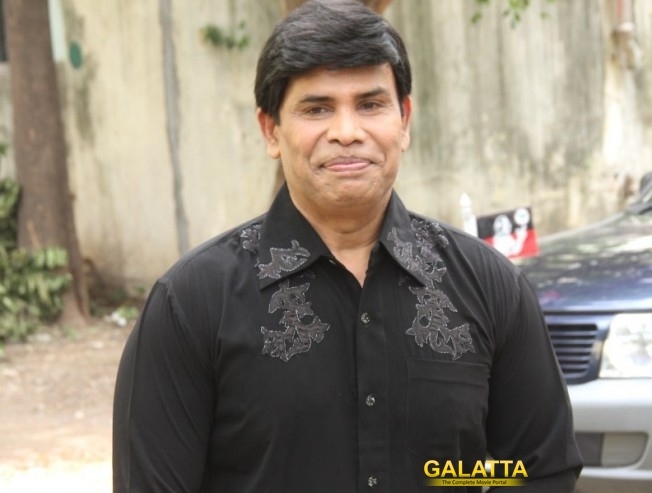 As an exclusive info, we came to know that Anand Raj will be playing an important role in the movie and can be expected to be seen in a new makeover for Thalapathy 63. It will be interesting to see whether the talented actor will be carrying a comedic role in the movie as he has been doing in recent times or as the terrifying villain like the old days. Whichever the role might be, Anand Raj will be delivering his best for the Thalapathy 63. Apart from Thalapathy 63, Anand Raj also has many interesting projects in the lineup like Vishal's Ayogya, GV Prakash - Raiza's untitled venture, Sudeep Kishan's Kannadi, Yogi Babu's Gurkha for which the actor has high hopes on. The talented actor has his hand full and will be on his shoes for the whole year.